By Ian Pollard in News and Views on 27th November 2017 . Trakm8 Holdings TRAK enjoyed a period of good organic growth from new and existing customers in the half year to 30th September. Like for like new revenue grew by 17%, basic earnings per share soared by 238% and profit before tax following closely behind with a rise of 157%. A strong second half is anticipated. Patisserie Holdings CAKE produced another year of excellent results and is proposing to increase its final dividend for the year to the end of September by 20%. Statutory profit before tax rose by 17.1%, basic earnings per share by 19.1% and revenue by 9.7%. 20 new stores were opened during the year, every one of which traded profitably from the day they opened. The company was trading from 199 stores at he year end. 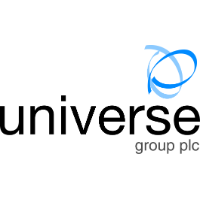 Universe Group UNG is disappointed not to have closed the small group of high value contracts for which it had planned before the year end on the 31st December. Group revenue for the year is now expected to be 19.5m. with adjusted EBITDA of around 2.7m. The company believes that the hoped for deals will materialise early in 2018.